What Happens When An Individual Under The Age Of 21 Gets A DUI? Underage drinking is something that continues to make its way onto the roads and it’s important to have a good understanding of what Arizona does about it. In general, each state will have varying regulations when it comes to underage drinking, how it’s regulated, and what the consequences are of being charged. Here is a look at the consequences a person under the age of 21 can face for having any amount of alcohol in their system while driving a motor vehicle. A DUI Alcohol refers to “Drinking Under the Influence” and is measured based impairment to the slightest degree and on the individual’s blood alcohol content at the time of their test. The test is conducted by a licensed officer after the driver has been stopped and there are specific protocols for how it’s to be conducted. There are several levels to the DUI charge and it will vary from person to person based on what’s happened at the time of their charge. Underage drinking remains a common occurrence in Arizona. Recent research into the prevalence of underage drinking in Arizona with over 40% of all underage individuals consuming alcohol at one time or another. A good portion of these individuals are prone to get behind the wheel. In such circumstances, it’s important to have a deeper understanding of relevant legalities and what court proceedings can encompass when a DUI is involved for a person under the age of 21. For adults over the age of 21, the established BAC or “Blood Alcohol Content” is set at 0.08 percent. However, for individuals under the legal drinking age of 21, the blood alcohol content is set at 0.00%. Yes, this means any level of alcohol in the bloodstream is illegal if the underage person is behind the wheel. Please note, the harshness of each penalty is going to vary depending on the individual’s age, past history, and amount of alcohol in the system when recorded. These variables will be noted down and taken into account during various stages of the process including the court case. Since Arizona has a zero-tolerance policy, this means the initial penalties can be hefty even if the individual has a clean record. Individuals can be charged with up to six months in jail, probation, time spent in a driver’s education course, class 1 misdemeanor, fines/court costs up to $2,000, and additional penalties based on the case’s details. All of this is mentioned at the time of the hearing and it’s something to keep note of while defending a DUI charge. For those that are facing second time DUI charge, the penalties will be harsher as this is a repeat offense while being underage. In some cases, the fines and penalties will double and it’s up to the judge’s discretion at the time of the hearing. In addition to the criminal penalties, adults under the age of 21, are often charges with a Title 4 Alcohol Offense, Minor Driving with Alcohol. The penalty for this is typically a fine, but MVD will suspend the adult’s driver license for two years, even though this could be beyond the 21st birthday. If an individual is in a situation such as this, it’s best to have a qualified DUI defense professional on hand to help out and make sure the case is presented appropriately. This is the best way to avoid facing harsher consequences and make sure a fair verdict is achieved. 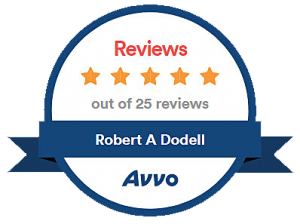 For more information on Arizona’s DUI regulations and potential age-based liabilities, please take the opportunity to call in and speak to a DUI lawyer from Robert A. Dodell, Attorney at Law. This law firm is ready to provide wholesome assistance as soon as the first meeting begins and will continue to do its due diligence based on what a client requires. It’s important to take clear action and have a proven defense lawyer for DUI cases.